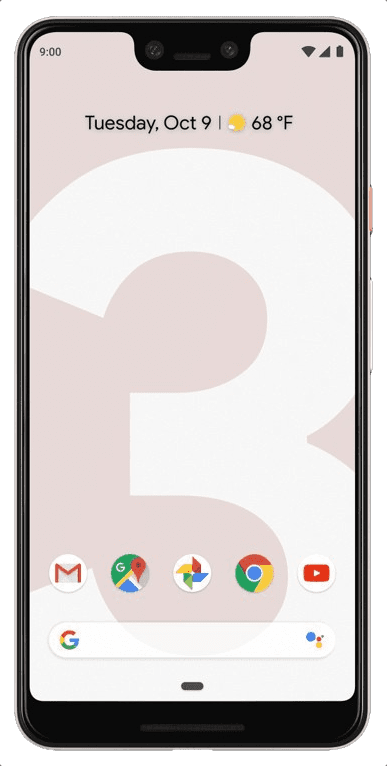 Going by the naming, the Google Pixel 3 XL is a bigger version of the Google Pixel 3 with not much of an overall improvement. Nonetheless, the Google Pixel 3 XL sports a notch on top of the display, a bigger screen and a bigger battery. Besides that, the remainder of the specs remans the same as in the Google Pixel 3. Its predecessor was known for its powerful camera and according to Google, the Pixel 3 series is the best photography smartphone. Let’s just jump right in and check out what the smartphone has in-store for us. The Google Pixel 3 XL is not entirely modern in its design with its big notch and a bit thick bezels, although not as thick as the Pixel 2 XL of last year. There is the omission of audio jack on the smartphone meaning you’ll have to make use of the USB Type-C port. You should also appreciate the speaker on both the bottom and top of the screen (surround sound). It is available in Clearly White, Just Black and Not Pink which is actually pink. You are in for a treat with the display on the Google Pixel 3 XL which is quite crisp and punchy. If you’re not a fan of the notch on the smartphone, you can always turn it off. The screen has a resolution of 1440 x 2960 pixels making the details on the smartphone appear vibrant and colourful. Unlike the timidly sized Pixel 3, the Pixel 3 XL goes bold with a 6.3-inch display. Expectations for the camera on this smartphone is nothing short of stellar considering how good the Google Pixel 2 and Pixel 2 XL were in this area. Instead of having a dual rear camera which most times is the case, the Google Pixel 3 XL switched things up and comes with a dual front camera and just one rear camera. At the front, there are two 8MP camera one standard and the other has a wide angle lens. The rear, however, houses a single 12.2MP camera that delivers adjustable bokeh effect, impressive low light capture, blacked out background while the subject remains coloured feature and brightening of the picture while still retaining the original colour amongst other tweaks. There’s practically no difference between the Google Pixel 3 and Pixel 3 XL as regards the hardware and software. You’ll find a Qualcomm Snapdragon 845 chipset and the arbitrary Adreno 630 GPU which is a top performer in the smartphone world. Like the ordinary model, it has 4GB RAM for multitasking and smooth operations while for storage there are 64GB and 128GB options available. Since there is no slot for a memory card you will have to be sure of the storage space you buy and besides they both run Android 9.0 Pie. 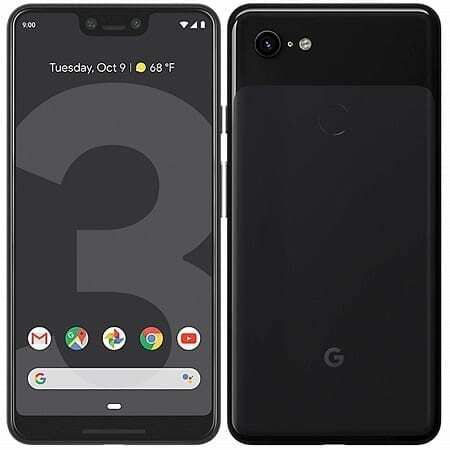 The Google Pixel 3 XL was released October 18th, 2018. Google Pixel 3 XL price starts at about $899 (327, 000 Naira) for the 64GB variant and $999 (369, 000 Naira) for the 128GB option. You can buy the smartphone at Amazon for $849.99, see offer.